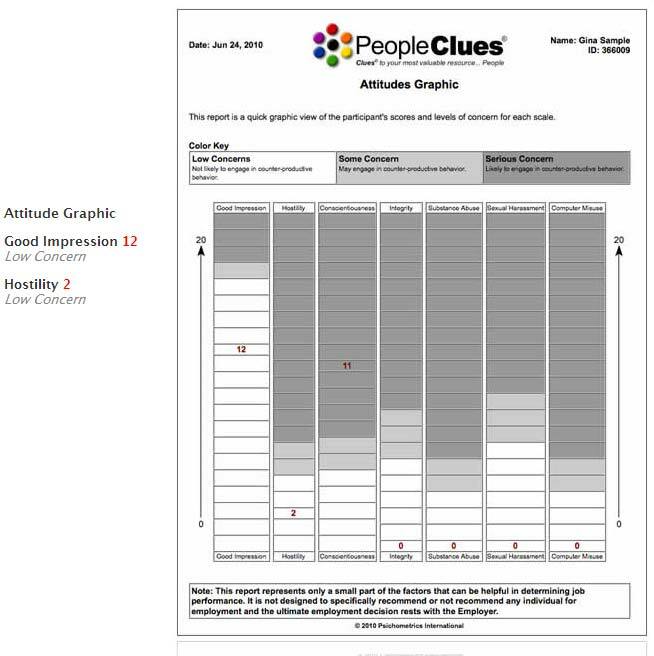 Identify and screen out poor attitudes before they become your employee with an attitude. 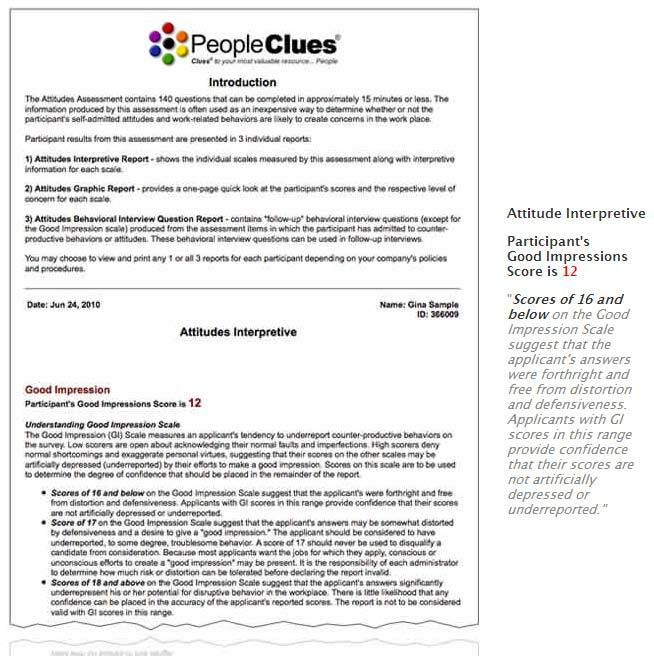 Identify the level of concern regarding candidate’s attitudes around Hostility, Theft, Dependability, Sexual Harassment, Computer Misuse and Substance Abuse. 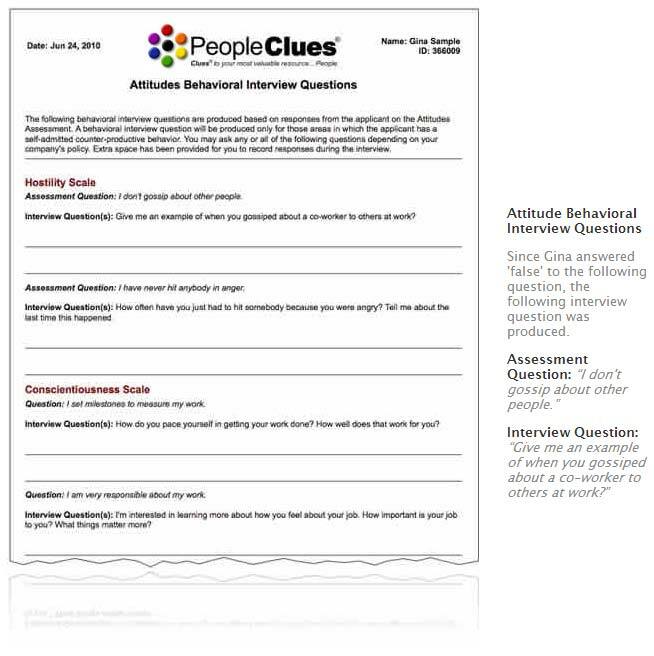 Streamline and shorten your interview process with behavioural questions specific to the candidate’s responses regarding counter-productive attitudes. 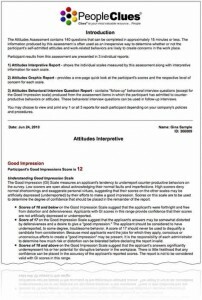 Explanations for all the scores and what they mean for all the counter-productive attitudes measured. 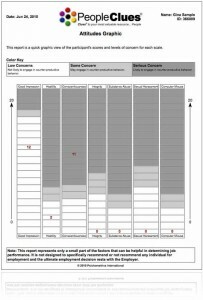 Graphic style that gives a quick overall idea if there are any areas of concern and what they might be. 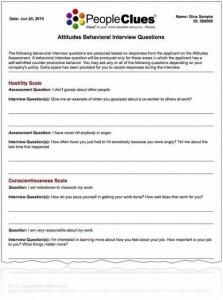 Follow-up interview questions, dynamically generated based on the candidate’s responses to the attitude assessment questions.